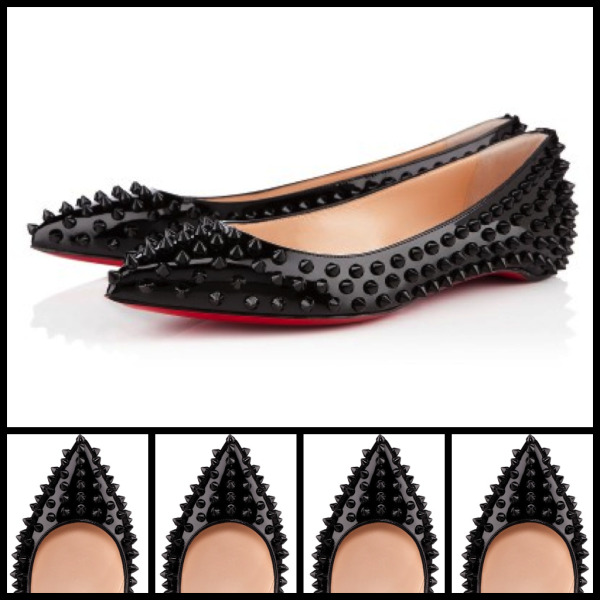 I am going to call these Loubs Poke-a-hontas because they look like they could poke the heck out of you! But for a girl (myself) that is not heavy into flats, these are rather darling. Love the signature red soles and the material of the shoe! This pair looks like it could hold your foot in a structured position and that is my battle with some flats. What do you think? Notable or Not?